BHU B.Com (Hons) Admission is based on BHU UET 2018. Under B.Com (H) there are two courses B.Com. (Hons) and B.Com. (Hons.) Financial Markets Management. It is a 3 years course (6 semesters) and is taught at Faculty of Commerce, BHU Campus, Rajiv Gandhi South Campus, Barkachha, Mirzapur (RGSC). The undergraduate course is available in BHU and admission will be based on BHU UET 2018 entrance exam. BHU UET is an exam for admission to various UG courses at Banaras Hindu University. The Application Process for the academic session 2018-19 has started from 22 January 2018. Get complete details on BHU B.Com (Hons) Admission on this page below. You can find the details related to exam pattern and last year question papers on this page. BHU UET BCom (H) Admit Card - Released! 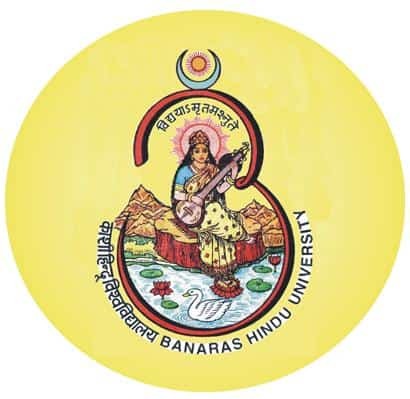 Apart from BHU B.Com (Hons), Banaras Hindu University offers admission to the following undergraduate courses. The candidates can apply for more than one courses in BHU. A separate test will be conducted for each course. However, there are certain courses where a combined common test will be conducted. About BHU: The Banaras Hindu University was founded by Pandit Madan Mohan Malviya in 1916. BHU Varanasi is the one of the most prestigious Central University in the country. There is a common application process for all UG courses offered at Banaras Hindu University. BHU Admissions 2018 will be done on the basis of Undergraduate Entrance Tests, also known as BHU UET. The candidates applying for the admission should be 22 years or less as on 1st July 2018. The OBC category candidates will be provided relaxation of 3 years with the upper age limit. Candidate must have passed Class 12 or equivalent Examination with Commerce/ Economics/ Maths/ Computer Sc./Finance/Financial Markets Management as one of the subjects. Candidates appearing in the qualifying exam can also apply. The student should have secured a minimum aggregate of 50% marks and must have passed in the concerned subject (as supported by the Certificate issued by the Examining body). For SC/ST candidates, there will be no minimum aggregate percentage of marks in the qualifying examination except that they must have passed the qualifying examination. For OBC and PC candidates, there will be a relaxation of 5% marks in aggregate in the qualifying examination. BHU B.Com (Hons) Application Process has started from 22 January 2018 and the last date to apply for BHU UET is 28 February 2018. The candidates can apply for BHU B.Com (Hons) 2018 ONLY online. There is NO offline Process of filling the BHU UET 2018 Application Form. Online Mode: Candidates may apply through online mode by visiting the official website. The candidates have to fill the BHU UET 2018 Application Form as per the procedure provided. There is no Offline mode of filling the BHU UET 2018 Application Form. The candidates willing to fill the BHU UET application form need to follow the link given below. BHU has extended the deadline for the application. Earlier, the last date to apply for BHU UET 2018 was 21 February 2018 which has now been extended up to 28 February 2018. The BHU B.Com (Hons) Admission will be done on the basis of BHU UET. BHU UET Provisional Admit Card 2018 is available now. The candidates are advised to keep themselves updated on the website of motachashma. The candidates need to know that an admit card is an important document to be carried at the examination centre. The candidates will not be allowed to enter the examination hall without the admit card. The candidates can get the BHU UET Admit Card by providing unique registration ID which was allotted to them at the time of filling the online application form. The candidates are suggested to follow the link below to get the complete information on how to download BHU UET Admit Card. The fee structure for the B.Com (Hons) offered by the Banaras Hindu University, Faculty of Commerce with fees payable at per semester + regular fees of the B.Com course prescribed by the University is given below. BHU UET Result for BHU B.Com (Hons) is declared on 16 June 2018. The merit list for the same is prepared according to the result. The selection of the candidates will be made on the basis of merit list prepared. BHU Score & Marks: The marks obtained by the candidate, the order of overall merit and the all the relevant information related to the BHU score and marks will be sent to the candidate by mail as well as SMS. The candidate can also check the BHU official answer keys and calculate their marks. No Revaluation of BHU Result: Banaras Hindu University will not entertain any request for Re-evaluation or Investigation of the answer sheets under any conditions. Further, no query about the same will be considered. BHU UET Results would be available at the BHU official website. Admissions will be solely done on the basis of merit in the UET, subject to fulfilling of eligibility requirements and availability of seats in the particular Course for which the candidate has applied for. To get the complete information on BHU UET 2018 Result, the candidates need to follow the link below. The candidates desirous to take admission at Banaras Hindu University will be required to give their option/preference for B. Com (Hons.) /B. Com. (Hons.) Financial Markets Management at the time of counselling and the admissions will be made as per merit and the choice of the candidate. The candidate is required to retain the Admit Card in safe custody after the Test for presenting it before the Admission Committee if called for counselling. Further, if the number of candidates opting for B. Com. (Hons.) Financial Markets Management is less than the minimum number of seats in the course, then the course may not run in that academic session. Get the details on counselling schedule by following the link below. Language – English or Hindi. The “Language” part shall consist of two sets of multiple choice questions on Language comprehension, one each in Hindi and English, where the candidate is required to answer either the Hindi language set or the English language set but not both. Standard: The standard of the question paper will be of +2 Examination or equivalent. Negative Marking: For each wrong answer one mark shall be deducted while the unattempted question will be awarded zero mark. The candidates will get the choice to select the preference of the test centres of their choice. There are total 16 test centres which are allotted to the candidates where the BHU UET exam will be held. The candidates can get the list of the test centre given in the table below.